Explanation - 11 Hour Limit: After 10 consecutive hours off duty, the driver had 11 hours of drive time available. The starting calculation point on Day 1 is 11:00 a.m. The driver drove between the hours of 11:00 a.m. to 1:00 p.m. (2 hours) then again between 4:00 p.m. to 6:00 p.m. (2 hours) and finally between 7:00 a.m. to 11:00 p.m. (4 hours) for a total of 8 hours of drive time on Day 1. On Day 2, the driver took 10 consecutive hours off duty (split between off duty and sleeper berth time) which reset the 11 hour limit. The new calculation point for Day 2 is 1:00 p.m. when the driver first began driving that day. Since the driver only drove between the hours of 1:00 p.m. to 5:00 p.m. (4 hours), no violation occurred. Explanation - 30 Minute Break: A driver may drive only if 8 hours or less have passed since the end of the driver’s last off duty period of at least 30 minutes. In this example, the starting calculation point is at 10:00 a.m. on Day 1. The driver was on duty for 1 hour, drove for 2 hours, was on duty for 3 hours, and then drove 2 more hours - totaling 8 hours (combined driving and on duty time) without taking any time off duty. At 6:00 p.m. on Day 1, the driver takes the required minimum 30 minute off duty break until 6:30 p.m. This allowed the driver to legally complete the 14 hour “window” at Midnight with 4 more hours of driving and 1 hour of on duty time. While the driver was on duty for 9 hours on Day 2, the driver stopped driving for the day at 5:00 p.m., only 7 hours after taking his/her last off duty break. Therefore, no 30 minute break was required and no violation occurred. The hours spent on duty from 5:00 p.m. to 7:00 p.m. were legal because no actual driving took place. Explanation - 14 Hour Limit: After 10 consecutive hours off duty, the driver had 14 hours to perform all driving tasks starting at 10:00 a.m. on Day 1. At Midnight, exactly 14 hours later, the driver went off duty for 10 consecutive hours (combination of off duty and sleeper berth) which reset the 14 hour limit. The new starting calculation point for the 14 hour limit was 10:00 a.m. (the first point at which the driver went on duty after taking 10 consecutive hours off duty). After 9 hours of performing a combination of on duty and driving tasks, the driver switched to the sleeper berth for the remainder of Day 2, thus, no violation occurred. Explanation - 11 Hour Limit: After 10 consecutive hours off duty, the driver had 11 hours of driving time available beginning at 2:00 a.m. on Day 1. The driver used those 11 hours by 4:00 p.m. on Day 1, when he or she entered the sleeper berth for 8 consecutive hours. Because the driver accumulated at least 10 hours of rest using a combination of at least 8 consecutive hours in a sleeper berth (4:00 p.m. to Midnight on Day 1) and another break of at least 2 consecutive hours (8:00 a.m. to 10:00 a.m. on Day 1), he or she was eligible for the split sleeper berth provision. This moves the calculation point to the end of the first of the two periods of rest, or 10:00 a.m. on Day 1. Starting the calculation from there, the driver accumulated another 10 hours of driving by 5:00 a.m. on Day 2. By 7:00 a.m. on Day 2, the driver accumulated another pair of qualifying breaks totaling at least 10 hours [4:00 p.m. to Midnight on Day 1 (8 hours) and 5:00 a.m. to 7:00 a.m. on Day 2 (2 hours)]. This moves the calculation point again, to the end of the first of the two breaks, or Midnight beginning Day 2. From there, the driver accumulated another 10 hours of driving by 1:00 p.m. on Day 2. The pattern of 8/2 split sleeper berth provisions continued, with no 11 hour violations. Explanation - 30 Minute Break: On Day 1, the driver spent a total of 12 hours split between on duty and driving time. In order to continue driving beyond the 8th hour, a 30 minute break must be recorded. The calculation point on Day 1 is 2:00 a.m., so in order to continue driving after 10:00 a.m. (8 hours later), a minimum of 30 minutes must be spent off duty. 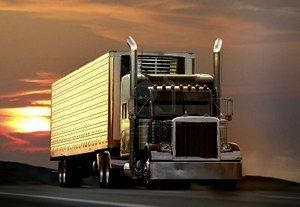 In this example, the driver spent 2 hours in the sleeper berth from 8:00 a.m. to 10:00 a.m. and this satisfies the 30 minute break requirement, so no violation occurred. On Day 2, the driver first went on duty at midnight. In order to drive a CMV after 8:00 a.m. (8 hours later) a minimum of a 30 minute break off duty would be required. The driver met that requirement by taking a 2 hour break off duty (sleeper berth) break between 5:00 a.m. and 7:00 a.m. The hours spent driving between 9:00 p.m. and Midnight on Day 1 are also legal since an 8 hour break was taken between 1:00 p.m. and 9:00 p.m. Explanation - 14 Hour Limit: Calculation of the 14 hour limit begins at 2:00 a.m. on Day 1. The driver accumulates 14 hours by 4:00 p.m. before entering the sleeper berth. Because the driver then met the requirements for the split sleeper berth provision (see the 11 hour limit explanation), the calculation point moves to the end of the first qualifying break, or 10:00 a.m. on Day 1. So at Midnight leading into Day 2, the driver had accumulated 6 hours. By 7:00 a.m. on Day 2, the driver accumulated another pair of qualifying breaks totaling at least 10 hours and has not exceeded the 14 hour limit. This moves the calculation point again, to the end of the first of the two breaks, or Midnight leading into Day 2. From there, the driver accumulated 13 of 14 hours by 1:00 p.m. on Day 2. This split sleeper berth pattern continued, with no 14 hour limit violations. Violations: Day 2 contains 2 violations. There is a 14 hour rule violation from 8:00 a.m. - 10:00 a.m. and a 30 minute break violation from 8:00 p.m. - 9:00 p.m. Explanation - 11 Hour Limit: After 10 consecutive hours off duty, the driver had 11 hours of driving time available at 10:00 a.m. on Day 1. The driver completed 11 hours of driving by 10:00 a.m. on Day 2 and was not eligible for more driving until taking time off duty. Because the driver had 8 consecutive hours in a sleeper berth and then 2 consecutive hours off duty, he or she was eligible for the split sleeper berth provision, meaning, the driver accumulated at least 10 hours of rest using a combination of at least 8 consecutive hours in a sleeper berth and another break of at least 2 consecutive hours. This moves the 11 hour calculation point to the end of the first of the two qualifying breaks, or 8:00 a.m. on Day 2. Counting forward from there, the driver had 2 hours of driving plus an additional 9 hours of driving for a total of 11, with no violations. Explanation - 30 Minute Break: On Day 1, the driver was never on duty long enough to require a 30 minute break. But on Day 2, once the driver went on duty (driving) at noon, he/she had to complete a 30 minute break by 8:00 p.m. before driving any further. The driver continued to drive beyond that limit by one hour. From 8:00 p.m. to 9:00 p.m. the driver was in violation of the 30 minute break provision. Explanation - 14 Hour Limit: After 10 consecutive hours off duty, the driver had 14 hours available at 10:00 a.m. on Day 1. The driver reached the 14 hour limit at midnight (note that all off duty periods of less than 10 hours are included in the calculation). The driver then entered the sleeper berth for 8 consecutive hours, which is excluded from the 14 hour calculation. But because the driver did not have an earlier 2 hour break and did not obtain 10 consecutive hours off duty, the calculation point does not move (that is, the 14 hour calculation continues from Day 1 into Day 2). At 8:00 a.m. on Day 2, the driver was still at the 14 hour limit and had no time remaining. He or she violated the rule by driving for 2 more hours. The driver then took 2 consecutive hours off duty and was able to take advantage of the split sleeper berth provision. The calculation point moves to 8:00 a.m. on Day 2 (the end of the first period used in the “split”), and counting forward from there the driver accumulated just 13 hours by 9:00 p.m., within the limits. To remain in compliance: In order to be able to drive on Day 2, the driver had no choice but to take 10 consecutive hours off duty and/or in a sleeper berth after midnight leading into Day 2, instead of just an 8 hour break. Alternatively, the driver could have gone off duty for 2 consecutive hours on Day 1, instead of two 1 hour breaks. Explanation - 11 Hour Limit: On Day 1, the driver began operating a CMV at 10:00 a.m. and was allowed to drive for 11 hours. The driver drove for exactly 8 hours before switching back to the sleeper berth for the remainder of the day. On Day 2, the driver used the split sleeper berth provision and spent a total of 11 hours driving which is within the legal HOS limits. Explanation - 30 Minute Break: Since the driver was only on duty for a total of 8 hours on Day 1, a 30 minute break was never required. A 30 minute break is only required if a driver wants to operate a CMV and it has been more than 8 hours since the last off duty period of at least 30 minutes. On Day 2, the driver fulfilled the 30 minute break provision by taking 1/2 hour off duty from 1:00 p.m. to 1:30 p.m. Had the driver not taken that break, he/she would have violated the provision from 2:00 p.m. until 3:30 p.m. However, in this case, no violation occurred. Explanation - 14 Hour Limit: After spending 10 consecutive hours off duty on Day 1, the driver switched his/her status to driving at 10:00 a.m. This is the starting calculation point for the 14 hour limit. Therefore, the driver had until Midnight on Day 1 to complete all driving tasks. Since the driver switched back into the sleeper berth at 6:00 p.m. and remained there for the rest of the day, no violation occurred on Day 1. The driver took an 8 hour break in the sleeper berth from 6:00 p.m. on Day 1 until 2:00 a.m. on Day 2. Those 8 hours spent in the sleeper berth do not count against the drivers 14 hour limit (per the 8 hour sleeper berth provision). So at 2:00 a.m. on Day 2, the driver still had 6 hours remaining on his/her 14 hour limit (14 available hours - 8 hours of on duty time before the 8 hour break = 6 hours remaining). The driver used up 2 of those hours driving between 2:00 a.m. and 4:00 a.m., leaving 4 hours before the 14 hour limit expires. By switching into the sleeper berth for 2 additional hours, a split sleeper berth provision was completed (8 hours off duty followed by 2 hours off duty). At that point, we can simply subtract the 2 hours of drive time and the 2 hours of sleeper berth time from our new 14 hour limit for a total of 10 hours remaining beginning at 6:00 a.m. Since the driver went back into the sleeper berth exactly 10 hours later at 4:00 p.m., no violation occurred. The above explanation may be a bit confusing, so we will organize the example by using bullet points. The starting calculation point for the 14 hour limit is at 10:00 a.m. on Day 1. A total of 8 hours were used from 10:00 a.m. until 6:00 p.m. on Day 1, leaving 6 hours of time remaining on the 14 hour limit (14 - 8 = 6 hours remaining). An 8 hour break was then completed from 6:00 p.m. on Day 1 until 2:00 a.m. on Day 2. This essentially "pauses" the 14 hour limit and those 8 hours are not counted against the limit. At 2:00 a.m. on Day 2, the driver still had 6 hours remaining on his/her 14 hour limit and drove for 2 hours between 2:00 a.m. until 4:00 a.m. That means the driver still had 4 hours remaining at 4:00 a.m. (6 hours remaining - 2 hours driving = 4 total hours remaining). By taking 2 more hours off duty (sleeper berth) from 4:00 a.m. until 6:00 a.m., the driver completed a split sleeper berth provision. The new 14 hour calculation moves to 6:00 a.m. The driver must subtract the 2 hours of drive time as well as the latest 2 hour off duty break for a total of 10 hours of time remaining on the 14 hour limit (14 hours - 4 hours of driving / sleeper berth time = 10 hours available starting at 6:00 a.m.). The driver's 14 hour limit was set to expire at 4:00 p.m., at which point the driver went into the sleeper berth for the remainder of the day avoiding any 14 hour limit violationss. Even though the driver spent 9 consecutive hours off duty, the 14 hour limit does not get extended. In order for an 8 consecutive hour (or longer) break to extend the 14 hour limit, the 8 consecutive hours must occur in the sleeper berth. However, the driver could have spent 10 hours off duty and both the 11 and 14 hour limits would have reset. Refer back to page 96 (link opens in a new window) if you are unfamiliar with how the 8 hour sleeper berth or split sleeper berth provisions work. When using the split sleeper berth provision, the order of the qualifying breaks does not matter - the break of "at least 2 hours" can fall before or after the sleeper berth period of "at least 8 hours." Any sleeper berth period of at least 8 but less than 10 consecutive hours is excluded from the 14 hour calculation. How many violations occur on the below example? Which day on the example below contains a violation? Explanation - 30 Minute Break: A driver may drive only if 8 hours or less have passed since the end of the driver’s last off duty period of at least 30 minutes. In this example, the starting calculation point is at 10:00 a.m. on Day 1. The driver was on duty for 1 hour, drove for 2 hours, was on duty for 3 hours, and then drove 2 more hours - totaling 8 hours (combined driving and on duty time) without taking any time off duty. At 6:00 p.m. on Day 1, the driver takes the required minimum 30 minute off duty break until 6:30 p.m. This allowed the driver to legally complete the 14 hour window at Midnight with 4 more hours of driving and 1 hour of on duty time. While the driver was on duty for 9 hours on Day 2, the driver stopped driving for the day at 5:00 p.m., only 7 hours after taking his/her last off duty break. Therefore, no 30 minute break was required and no violation occurred. The hours spent on duty from 5:00 p.m. to 7:00 p.m. were legal because no actual driving took place. What violation occurs in the example below? Is there a 14 hour rule violation on Day 2? Explanation - 14 Hour Limit: Calculation of the 14 hour limit begins at 2:00 a.m. on Day 1. The driver accumulates 14 hours by 4:00 p.m. before entering the sleeper berth. Because the driver then met the requirements for the split sleeper berth provision, the calculation point moves to the end of the first qualifying break, or 10:00 a.m. on Day 1. So at Midnight leading into Day 2, the driver had accumulated 6 hours. By 7:00 a.m. on Day 2, the driver accumulated another pair of qualifying breaks totaling at least 10 hours and has not exceeded the 14 hour limit. This moves the calculation point again, to the end of the first of the two breaks, or Midnight leading into Day 2. From there, the driver accumulated 13 of 14 hours by 1:00 p.m. on Day 2. This split sleeper berth pattern continued, with no 14 hour limit violations.